Construction progress continues on the West Valley TRAX Line. To keep business and traffic impacts to a minimum, this five-mile project has been separated into seven construction “reaches,” or segments, for management and planning purposes. The map below shows each construction reach in a different color, starting with Reach 1 in light green on the south end of the project and ending with Reach 7 in dark green on the north end. Current Construction: Preliminary construction continues as third party utility relocations take place on Constitution Boulevard in preparation for the beginning of TRAX construction in this area. Upcoming Construction: Construction is scheduled to begin on 2700 West from 3500 South to 3100 South the first week of December. This work will mainly include utility relocations and will proceed along the side of the roadway. Impacts to motorists should be minimal when this work begins. Work is also anticipated to begin along Market Street near West Valley City Hall. It will be closed between Lehman and 3600 S. near West Valley City Hall beginning Sunday night Nov. 2, 2008 after 8 p.m. for the construction of the intermodal hub. Traffic Impacts: Current impacts to motorists should be minimal at this time; however, there will be minor lane restrictions as utility companies work along Constitution Boulevard. As construction proceeds, we will personally visit with residents and businesses in this area to keep them informed. Reach Description: Reach 2 is the area along 3100 South from Constitution Boulevard to Decker Lake Drive. The E Center and a few other businesses are located in this reach, as well as residents on either side of 3100 South. Access will be maintained throughout construction in this reach and we will work with The E Center to coordinate our efforts so you can continue to visit the great events they have to offer. When TRAX is completed along 3100 South, it will operate on the south side of the roadway. Current Construction: Currently a sewer tie-in was completed at The E Center on the south side of 3100 South. Utility pole relocation and other utility work on the north side of 3100 South have also been completed in this area. Upcoming Construction: Construction is anticipated to intensify on the south side of 3100 South just east of Constitution Boulevard within the next couple of months. As we get closer to construction in this area, we will be in contact with the residents and schools to let them know more about how work will proceed. Work is also scheduled to begin near I-215 and 3100 South in mid-November. Some utility work is planned near The E Center in December. Traffic Impacts: Current impacts to motorists should be minimal in this reach because the majority of work takes place along the sides of 3100 South. Reach Description: Reach 3 is the area along Decker Lake Drive from 3100 South to Research Way (2770 South) and running east to Redwood Road. 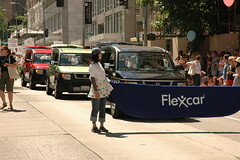 This area includes many commercial office buildings with thousands of employees who access this area on a daily basis. We will continually work with these businesses to ensure access is provided at all times. Current Construction: Crews have completed the sewer line on the west side of Decker Lake Drive. Construction has now switched to the east side of Decker Lake Drive to begin work on the storm drain. This work is anticipated to take place throughout the next several months. Crews have also started to expose utility lines along Research Way located at 2770 South just west of Redwood Road. Access is being maintained and impacts along Research Way should be minimal at this time. Upcoming Construction: Nighttime construction will take place during the week of October 27 -31 on Decker Lake Drive between Research Way and 3100 South. Crews will temporarily close the roadway from 7 p.m. to 5 a.m. to accommodate nighttime construction work. The roadway will open in time for the morning commute and employees needing access to businesses along Decker Lake Drive will be accommodated. There will be a few temporary driveway closures along Decker Lake Drive in certain locations taking place throughout the upcoming week. However, access will be maintained to all businesses through alternate driveway approaches. We will work directly with businesses to provide notice and access. Construction is anticipated to take place along Decker Lake Drive throughout the next several months. Traffic is anticipated to switch again from the west side of Decker Lake Drive to the east side sometime in January 2009. · Currently, traffic has switched to the west side of Decker Lake Drive, one lane of traffic is operational in each direction and access to businesses is maintained. · Decker Lake Drive will temporarily close from Research Way to 3100 South for nighttime construction from 7 p.m. to 5 a.m. on October 27th and last for approximately one week. Please be mindful of workers in this area and obey posted speed limits. Reach Description: Reach 4 runs through the Chesterfield residential area along 2770 South and proceeds along the Decker Lake Canal and the Crosstowne Trail. We will work with residents in this area to ensure a safe working environment that provides access to their properties throughout construction. Current Construction: The majority of construction taking place on the West Valley Line is currently taking place in this area. Construction in this reach is on the east side of Redwood Road as crews continue to clear the way for TRAX on the north side of the Brighton and Decker Lake Canals and the Jordan River. Currently, crews have created a corridor for TRAX that extends into Reach 5 and connects to the industrial area along 1070 West and are working with residents in this area to coordinate activities taking place along their property. Crews have reinforced a box culvert that runs along the Crosstowne Trail and have backfilled the area with dirt. Crews continue to install the foundations that hold the overhead wiring system for TRAX throughout the Chesterfield area. A permanent fence is being installed just east of the Brighton Canal to the Khadeeja Islamic Center on Parkway Avenue. Work is also being done on a box culvert at the Brighton Canal. Upcoming Construction: Sound walls for the area located on either side of the Crosstowne Trail between Redwood Road and just west of the canal will be installed in mid-November. · The Crosstowne Trail along 2770 South just east of Redwood Road to the Brighton Canal is currently closed. 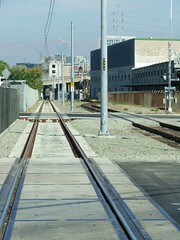 Once TRAX construction is completed, the trail will once again be operational in this area. Current Construction: Crews have started preliminary construction in this reach along 1070 West. They are currently “potholing” or exposing utility lines in this area to determine their exact locations under the street. The majority of utility work in this area is taking place on 1070 West just north of Parkway Avenue. Access is being maintained in this area and impacts to motorist should be minimal at this time. Crews have created a corridor for TRAX that extends from Reach 4 to connect with 1070 West in this reach. Upcoming Construction: Heavier utility work will begin along 1070 West in the industrial section of Chesterfield around the end of November. There will be some lane restrictions implemented at this time. As we get closer to this part of construction, we will meet with businesses in the area to talk about how to lessen any impacts. Traffic Impacts: Currently, any impact to motorists should be minimal in this construction reach. Reach Description: Reach 6 runs through the Union Pacific Railroad’s Roper Yard area. Although there are no businesses and residents in this reach, extensive coordination will take place with the Union Pacific Railroad to ensure that freight deliveries and other train travel will be maintained. Reach 6 will include an extensive bridging system that will enable TRAX to operate above ground, over other train traffic in this area. Current Construction: Crews have installed steel piles 120’ into the ground to form the main foundations for the aerial bridge that will carry TRAX over the Union Pacific Railroad tracks. These steel piles are welded together and then pounded into the earth until they reach bedrock to form the basis of the bridge structure. Upcoming Construction: Coordination will continue with the Union Pacific Railroad to install utility lines and bridge structures in this reach. Traffic Impacts: Not applicable. This is a Union Pacific Railroad work area. Reach Description: Reach 7 is the area where the West Valley Line will connect with the current North/South TRAX Line. Construction in this reach will take place along Andy Avenue in South Salt Lake. Crews will closely coordinate activities with businesses in this reach to ensure access is maintained at all times. A construction survey has been conducted with the businesses along 400 West between Andy Avenue and 2100 South to determine the best time to construct in the Andy Avenue/600 West intersection. We will get back to businesses in this area, deliver the survey results and ensure adequate access. Current Construction: Crews have removed the old track along Andy Avenue and are installing utility lines in this area. We will continue to update businesses along 600 West regarding construction in this area. Upcoming Construction: The storm drain installation at Andy Avenue will continue throughout the next several weeks as construction continues east towards 300 West. A temporary nighttime intersection closure is scheduled at Andy Ave. and 400 West on November 3 and 4. We will contact businesses personally regarding this closure to ensure they have access and encourage them to call the hotline number if there are any concerns. Traffic Impacts: Access will be maintained along Andy Avenue between 300 West and 400 West and through the Andy Avenue/400 West intersection to serve the businesses in this area. UTA is committed to maintaining 24-hour access to all of the businesses and residences along the construction corridor. We will coordinate with businesses in cases where temporary access might be required. This section highlights project milestones and progress. There are no traffic impacts associated with this section. The OCS (overhead catenary system) foundations, communications backbone, and drain work have been completed within Daybreak to the existing track at 5600 West. Initial ballast has been placed south of Bingham Creek and is anticipated to be completed to the existing track this week. Activity: Crews have removed the median barrier in the area of approximately 8700 South and Bangerter Highway (just south of the Old Bingham Highway overpass). The median has been replaced with water barrels and remains closed through December. Activity: Construction of sound wall along right-of-way rail corridor between 2700 West and 3200 West will begin on October 6th and will continue through November. Activity: Crews will be removing a median barrier beneath the Old Bingham Highway Bridge. Traffic Impacts: From October 20th through November 2nd, Old Bingham Highway will have one lane open with flagging operations at the Bangerter overcrossing. Activity: Crews are working on the new bridge construction at 7800 South near Gardner Village. Traffic Impacts: Westbound traffic will be shifted to the south side of the roadway at the railroad overcrossing with flagging operations at Gardner Village entrances through November 8. Activity: Construction on the Jordan River TRAX bridge. Traffic Impacts: A temporary detour began the week of October 13th on the Jordan River Parkway Trail near approximately 7500 South. The trail will be intermittently detoured through August 2009. Please be aware that the detour does cross a live railway track, and as such, the detour will be closed daily from 7:00 p.m. to 7:00 a.m. when freight is actively running on the track. Please plan accordingly. Activity: Grading and utility work is currently ongoing. Traffic Impacts: Shoulder closures with possible lane restrictions. · Northbound travel on Cottonwood Street will be closed between Winchester Street and 6500 South for the duration of construction. Southbound travel will remain open and traffic will be shifted to the east side of the roadway while crews reconstruct the west side. Once construction on the west side is complete, traffic will be switched to the west side of the roadway to allow crews to reconstruct the east side. · Cottonwood Street will accommodate southbound traffic only between Winchester Street and 6500 South. Please use 700 West or State Street as detour routes. Detour signs will be posted. Activity: Construction on 300 West will begin on September 2nd and continue through November 2008. Traffic Impacts: 300 West will be closed to all traffic from 6300 South to Winchester Street, and closed to through traffic at 6100 South. Local business access will be available on 300 West between 6100 South and 6300 South. Construction is progressing on UTA’s FrontRunner South Provo to Salt Lake Commuter Rail line. Below is the FrontRunner South quick construction update for the week of October 16. For a more comprehensive construction update, click here. Fiber optics will continue to be relocated between Murray and Salt Lake City. There are no construction activities to report in Area 15. Construction is gearing up in Area 14. On Sunday, October 19th, a crane was set up at the track crossover near 144th South and the Union Pacific Railroad. A construction fence has also been installed behind Salt Lake Community College’s campus at 9800 South. Crews continue to establish access in this area and prepare the site along the railroad corridor in Bluffdale and Lehi and throughout the Jordan Narrows. Work on the South Jordan Canal and embankment improvements will begin toward the end of October. Earthwork along the Union Pacific Railroad is also scheduled to begin in this area during the first part of November. Extensive excavation work has taken place at the Lehi Park and Ride Lot near Thanksgiving Point as crews continue to clear and grub the area and begin drainage improvements. Construction is also taking place along the rail corridor in this area just south of 11000 North in Lehi. Drainage improvements are currently taking place along the Union Pacific Railroad tracks from Orem to American Fork. Crews are also clearing and grubbing along this area in preparation for earthwork scheduled to begin the first part of November. FrontRunner construction continues to take place in Area 10 along the Union Pacific Railroad corridor between University Parkway in Orem and West Center Street in Provo. Drainage and irrigation structures are being improved by extending existing box culverts and waterways to accommodate the new FrontRunner track. Existing signal poles located in the right-of-way have also been removed in this area. Crews have removed old railroad ties and rail all the way from 500 West in Provo to University Parkway in Orem. Materials removed from this area are either reused or recycled. Thanks again for your interest in the FrontRunner South project. If you have construction related questions, please call our 24-hour construction hotline number at 1-888-800-8854. If you have specific questions about the FrontRunner South project, my contact information is listed below. To unsubscribe to this list, please click here. Brad over at Bike Utah Valley has some good comments about the recent transportation meeting. One comment he makes is that UDOT is still UDOT and is solely thinking about highways. Once again this shows that the people who are advocating turning UTA over to UDOT have one purpose in mine: to get UTA's funds transferred to highways because they are highway foamers. Brad tells us his dreams for Orem including rail instead of BRT which makes a lot of sense. I would only add that a rapid and regular streetcar would work fine instead of full blown LRT on some of his route suggestions. A New Jersey program that is designed to win federal funds that are targeted toward pedestrian improvements around schools. Creating safer environments for pedestrians especially school children is very important to build a truly pedestrian friendly area. Connecticut DOT who operates commuter rail service in the state is looking at changes to Amtrak's neglected step child of the northeast corridor the New Haven to Springfield line. 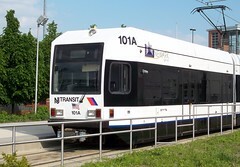 New York and Connecticut are pushing transit oriented development to lesson the need for cars in the very congested region. Why is Adrian Moore Lying to the LA Times? There is several good points made in this blog. First it has a link that shows how much oil money the supposed "independent" so-called think tank the Reason Foundation gets (much like its counterpart the Heartland Institute home to anti-transit mouth piece Wendell Cox). It also shows how much new passengers high speed rail is carrying in Europe. Washington DC is already looking at one streetcar line but Matt shows his proposal for a comprehensive streetcar network that would benefit much of the Washington DC area. According to the University of British Columbia, modern streetcars are the most cost effective and efficient investment of transit dollars. Second is Light Rail (which serves a different market from streetcars), followed by trolleybuses. Coming soon to a Health District Near You! A new health center being built just a third of a mile from a Tri-Rail commuter rail station but will have tons of parking but still qualifies for silver LEED certification. For years Amtrak has a rail pass but it has only been available to international tourist. They also have had another product that US residents could by but it required you to travel at least one segmant on the VIA rail network in the United States. Now you can purchase a rail pass for US only trips. Interesting article about the Federal New Starts program and how their effectiviness is calculated by the FTA. While UTA and Salt Lake proceed on thier bicycle center, maybe they can take some ideas from Muenster, Germany. UTA needs to have reserves set aside for the bad times. There is going to be times when tax revenues fall and there is a need for the money. Downtown could be the place? Hurricane to reduce impact fees?? ?